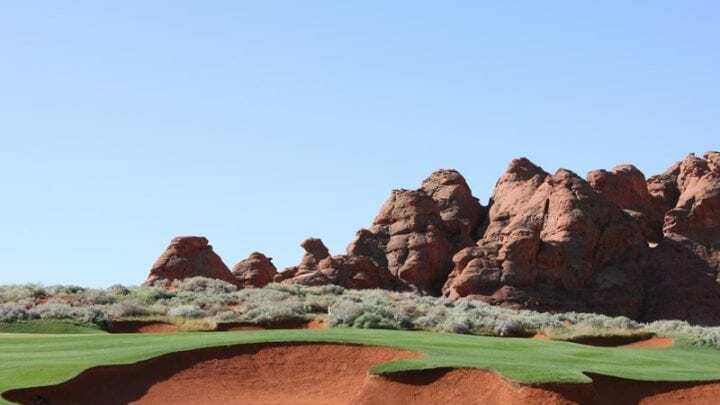 – Distance from Strip: 110-120 Min. 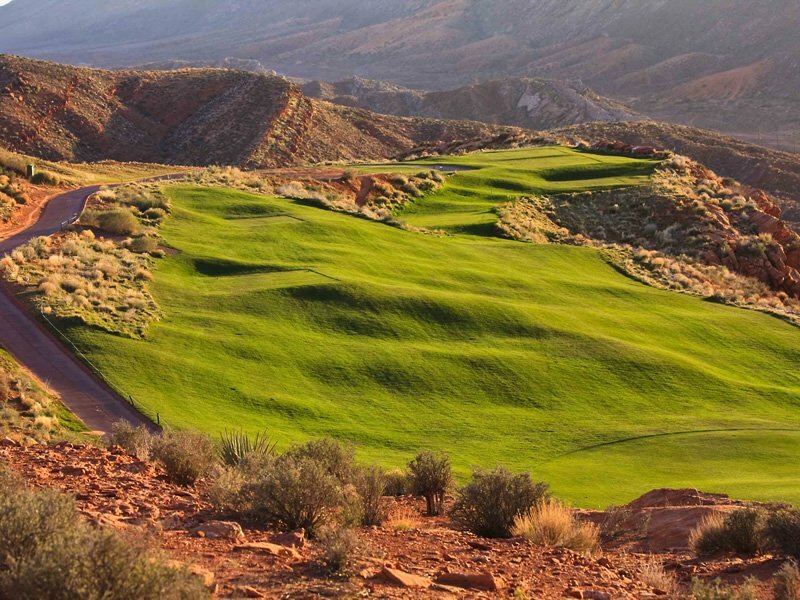 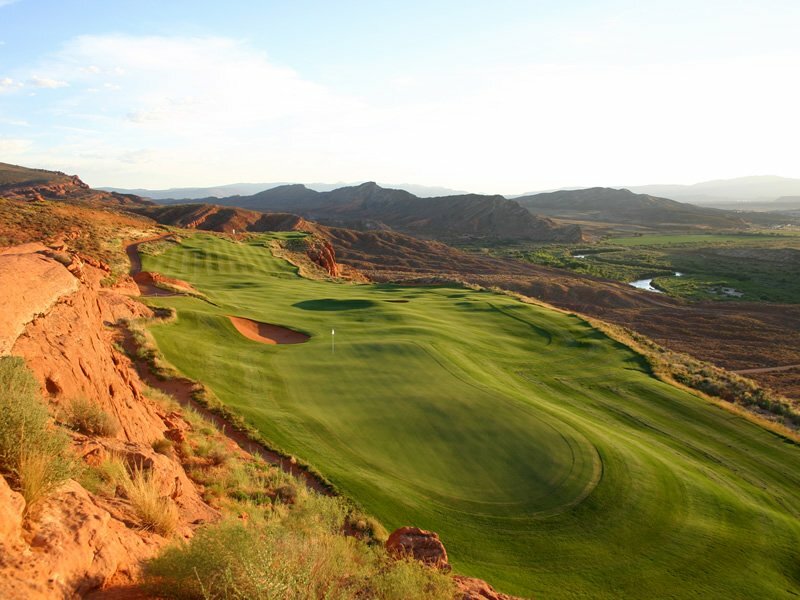 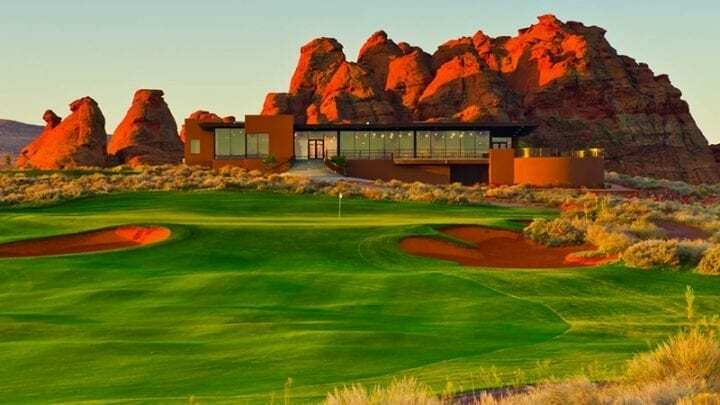 A new spectacular addition to the St. George area is Sand Hollow Golf Resort. 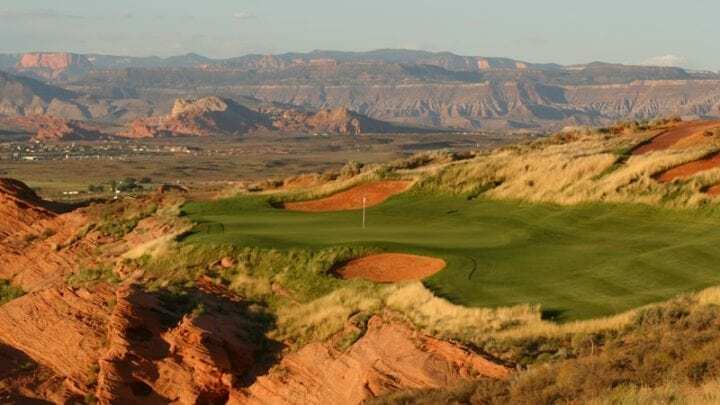 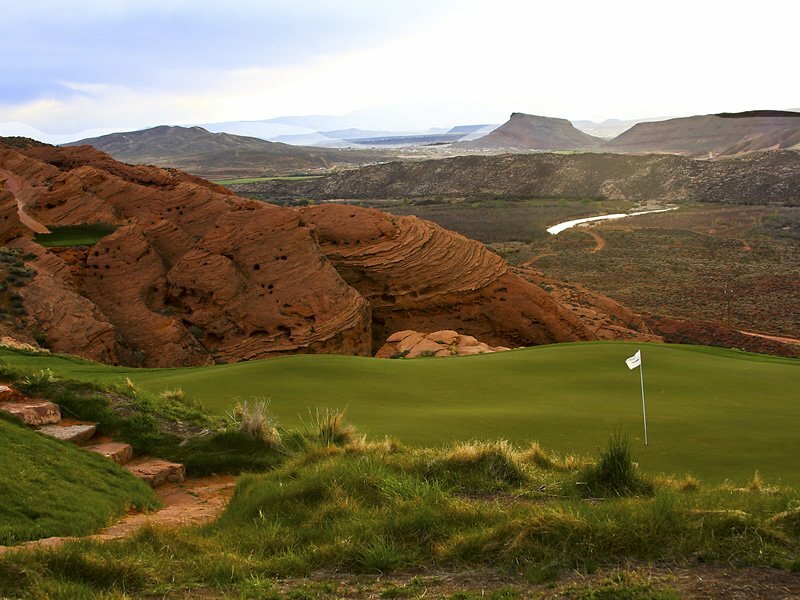 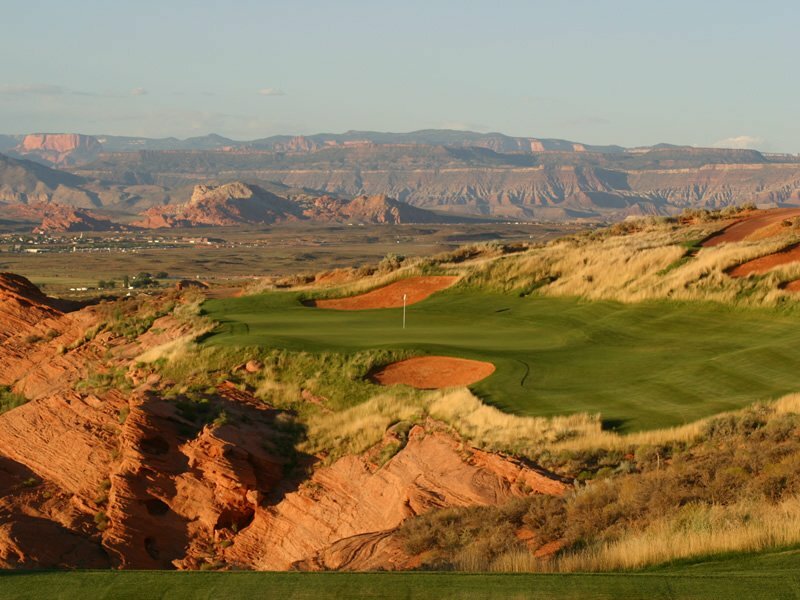 2008 Golf Magazine’s #6 best new course utilizes the natural desert topography of sandstone ledges, dramatic elevation changes, and beautiful views of Utah’s “Color County”. 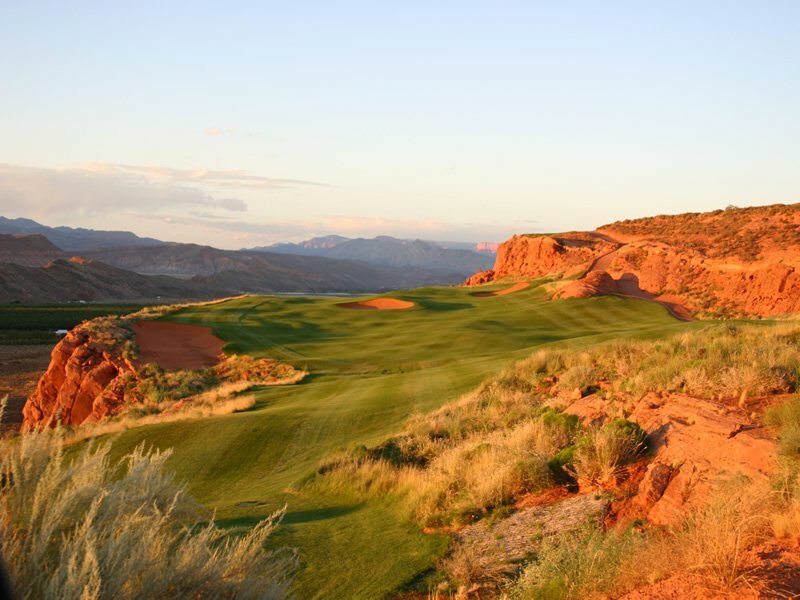 Sand Hollow Golf Resort offers much more than just an 18 hole golf course. 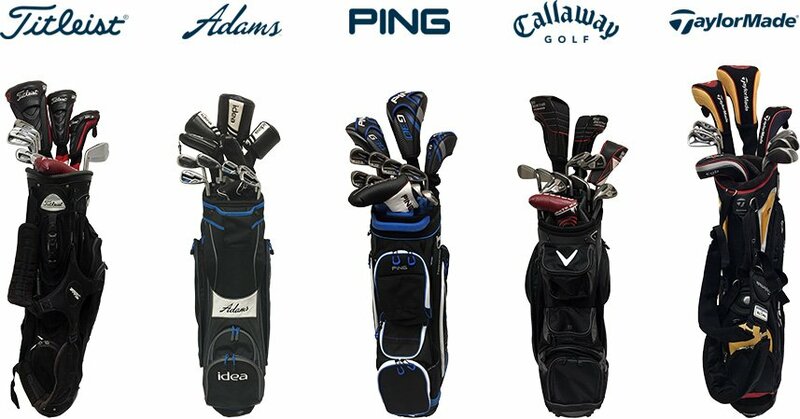 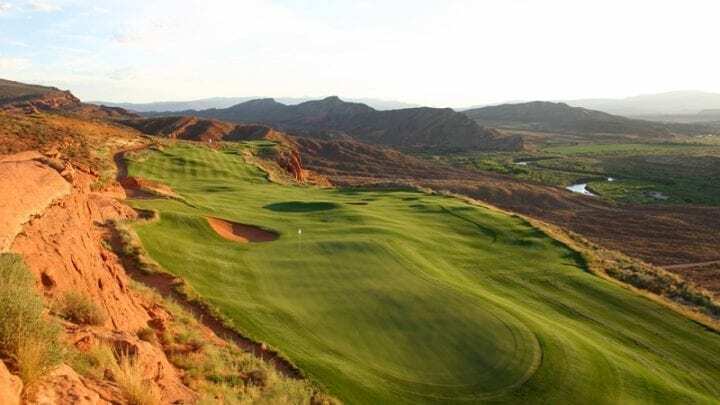 They also have a 9 hole par-36 Links course and an 18 hole putting course both modeled after St. Andrews, and the county’s largest all grass driving range designed to give the golfer practice with a more natural golf course setting. 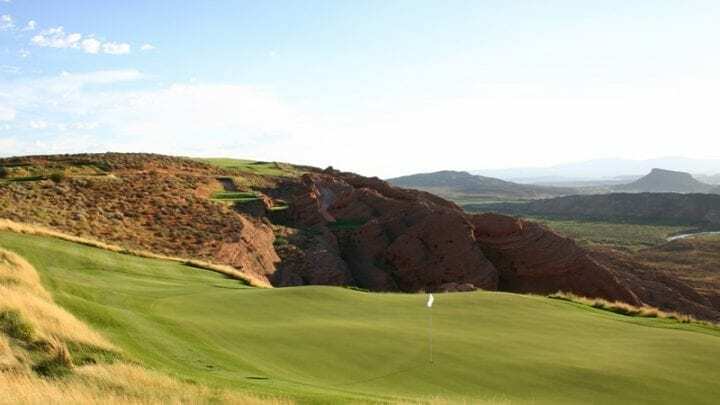 The Championship Course, A John Fought’s design playing over 7,300 yards has one major philosophy, “easy bogie, difficult birdie.” Don’t let that scare you away though, as The Championship Course has four sets of tee to make it playable for everyone. 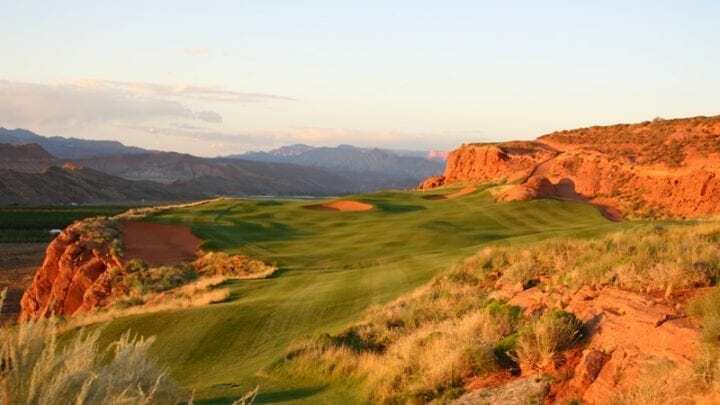 The course lays on tightly mowed fairways surrounded by vibrant red sand hazards and the green sizes range from 4,000 to 15,000 square feet making some greens more difficult to hit than others. 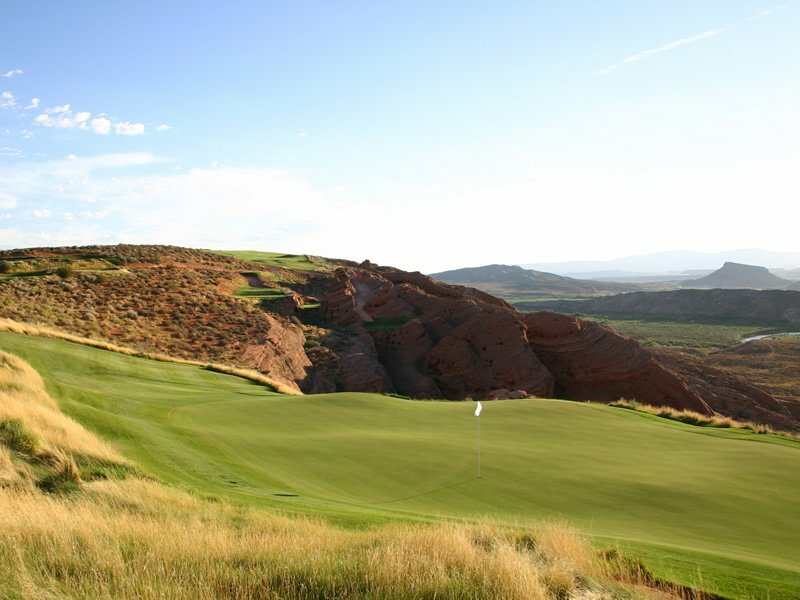 The larger greens are comprised of swales and ridges making a two put quite difficult. 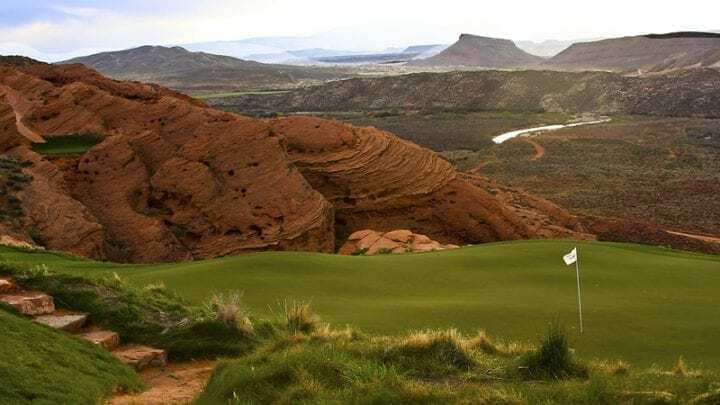 If you want to improve your putting and have a great time with the family then the Himalayan-style putting course is for you. 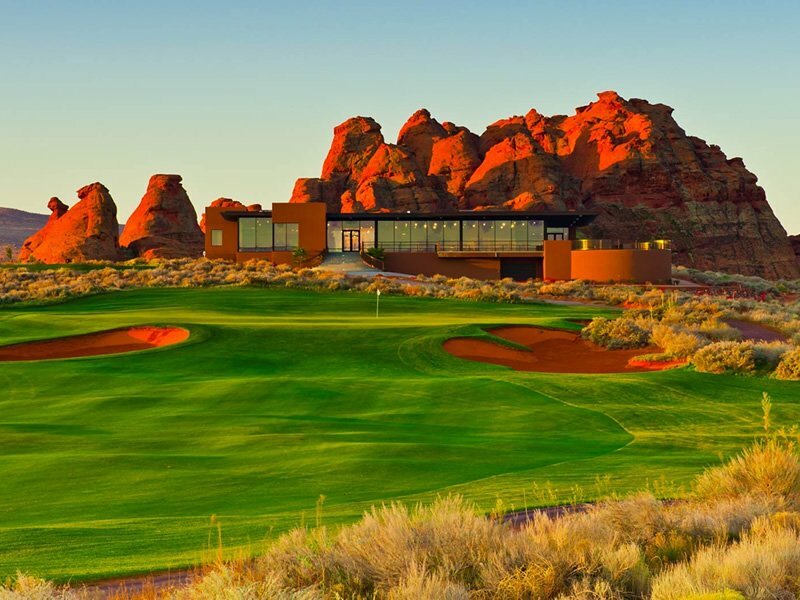 Or if you are there with some friends, it is also a great place to settle a bet or just put around after your 18 hole round. 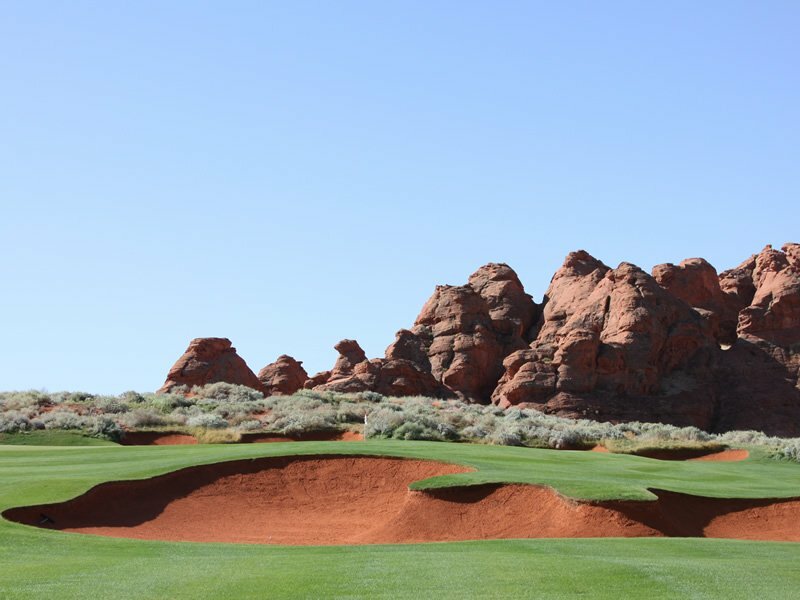 This multi-acre putting course is a skill test for the best of putters and provides a lot of comic relief for everyone. 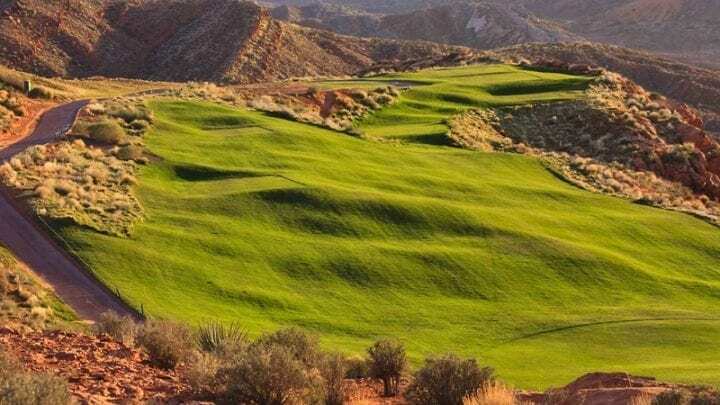 The greens run fast on the stemp meter and the undulations are as profound as they are on the course making this a great ending to your day at Sand Hollow.